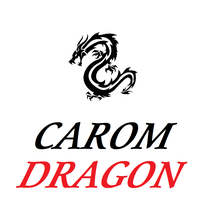 CAROM DRAGON is to reduce the burden of scoring in 3C, to manage the data, such as competition results and average, and a grasp of progress condition, and keeping the motivation. It is a very useful application for 3C players. This is a main screen , includes 6 menus. 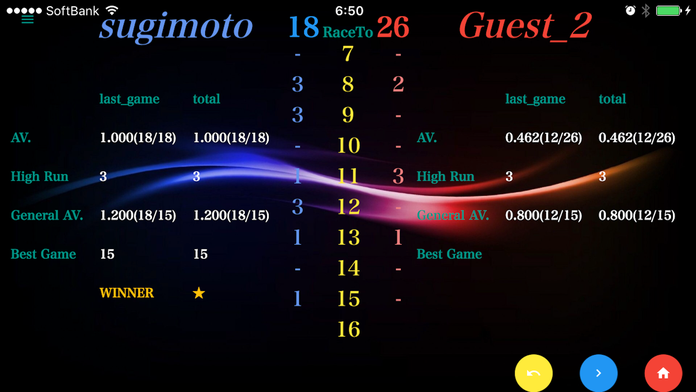 You can start the 3C game with automatic score calculation. You can exchange information and rights management. 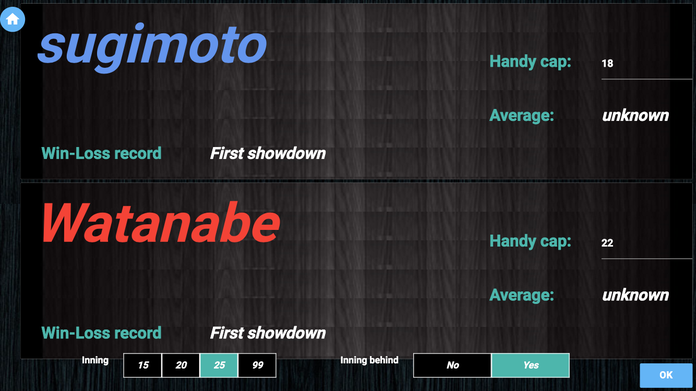 You can view the past of the competition results, average, or best game, and more. 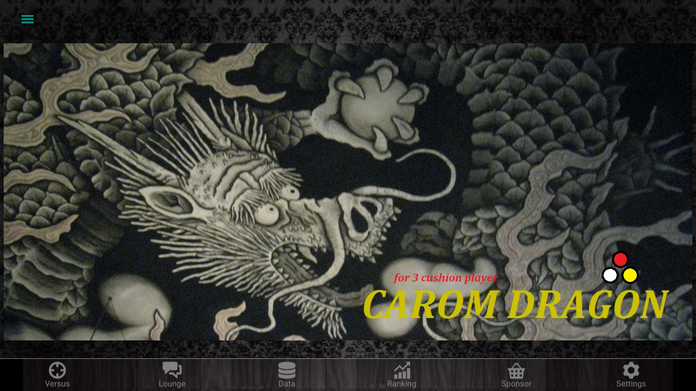 You can compete the CAROM DRANGON's users and world rankings around the world. 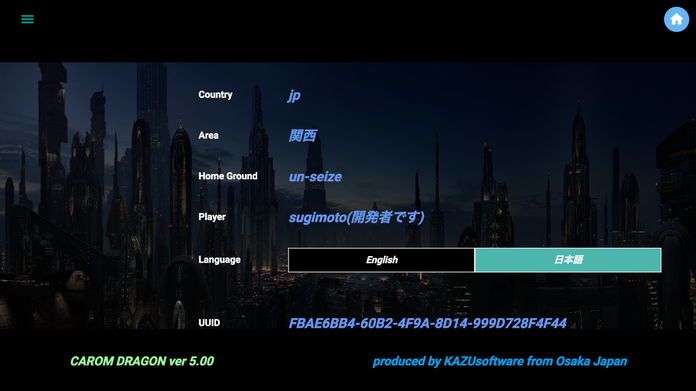 You can do the switching of the language (English / Japanese), the editing of the account information. ※This app can also use by a mobile phone, but we recommend a tablet terminal strongly.